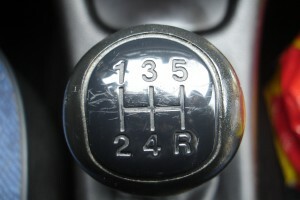 For some people studying for their learner’s permit can be a major challenge. An Adelaide course is proving highly successful at getting new learner drivers out on the road. It’s not often you get a group of students aged 17 to 70 in the same classroom. 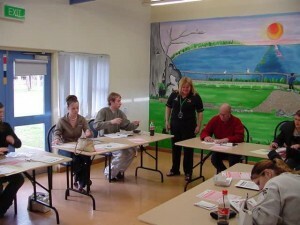 But a course at Adelaide’s Bagster Road Community Centre is attracting people from all walks of life. What they all have in common is a desire to drive. Getting in the car and driving to work, to the shops or to visit friends is something most of us take for granted. And it’s easy to forget that the whole process of learning to drive can’t happen without getting your learner’s permit first. ‘People who don’t drive can be seriously disadvantaged. They can have trouble getting jobs, can be socially isolated and life is just more stressful,’ Michelle Grinter, neighbourhood development coordinator and co-ordinator of the Getting Your Learners Permit class says. You only have to see the impact of getting a driver’s licence on people’s lives to appreciate the full effect, Michelle says. For some people, being back in a classroom is a milestone in itself. For others, working as part of a group, the chance to learn and share in other’s success is a new experience. The course gives those with limited social skills the opportunity to build self confidence and feel a sense of achievement that has a flow-on effect into other areas of their lives. What started as a school holiday program for local high school students in 2004 has become a magnet for people from all walks of life. Michelle was a volunteer at Bagster Road Community Centre ten years ago when she was looking to develop a course that would be relevant to the needs and interests of local high school students. Getting their learner’s permit seemed a good choice. Apart from covering the road rules, Michelle includes visits from the police to learn about fines, guest speakers from Consumer Affairs to talk about what to look out for when buying a car and how to spot finance and used car scams. A driving instructor visits to talk about the process of taking driving lessons. At the end of the course, each student does their test with Transport SA. Michelle uses a range of strategies to engage with her learners, using model cars to make examples practical and easy to visualise. ‘We go through every possible road rule and make sure they fully understand it and can use the model cars to demonstrate the variations of each rule.’ Michelle includes a mock test so students can identify which areas they need to work on before the final test. The book of road rules that students need to learn is a serious challenge for people with literacy problems, Michelle says. ‘A big part of the job is translating the text and getting rid of jargon so people can understand it and apply it to real life situations.’ Students are encouraged to use mnemonics to help them simplify the process and remember the elements of a range of rules.